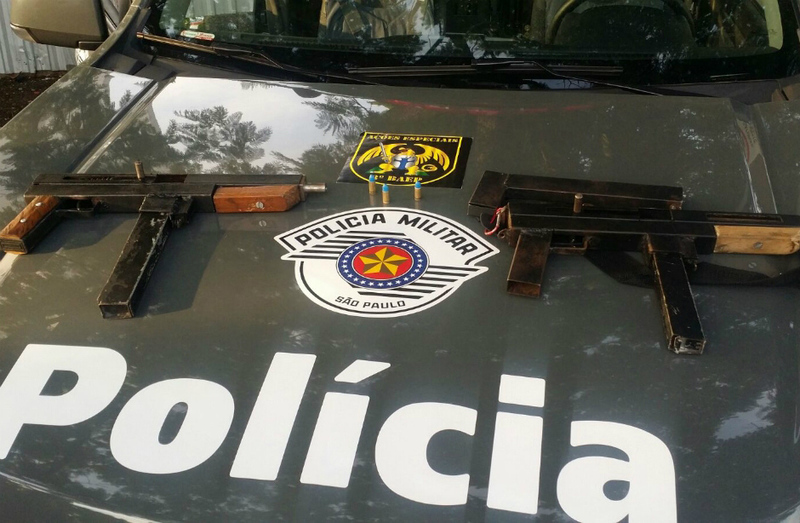 After an anonymous tip off, police arrested a man in San Jose de Campos earlier this month suspected of manufacturing and selling firearms. At least ten homemade submachine guns had been produced by him, two of the models being previously seized. Each were being sold from between $1,000 to $1,700 (USD) to local buyers. This entry was posted in Submachine guns and tagged Brazil, crime, DIY, firearms, gun control, guns, homebuilt guns, homemade, homemade firearms, homemade gun, homemade guns, homemade SMG, homemade submachine gun, homemade submachine guns, homemade weapons, illegal firearms, improvised firearms on March 29, 2017 by ImproGuns.